In communities across the country where wealth and medical care is scarce, Federally Qualified Health Centers (FQHCs) can be a critical safety net to keep the neighborhood alive and well. These community healthcare centers provide access to medical, dental and behavioral health services, regardless of a patient’s ability to pay. Since most FQHCs operate in areas where quality mental health providers are in short supply, telepsychiatry can enable them to offer behavioral health services to underserved patients. In our ongoing series on how telepsychiatry benefits may differ across various healthcare sectors, we now look at how telepsychiatry can help FQHCs deliver mental healthcare more efficiently while expanding access for the communities they serve. What challenges do FQHCs face in serving patients’ mental health needs? 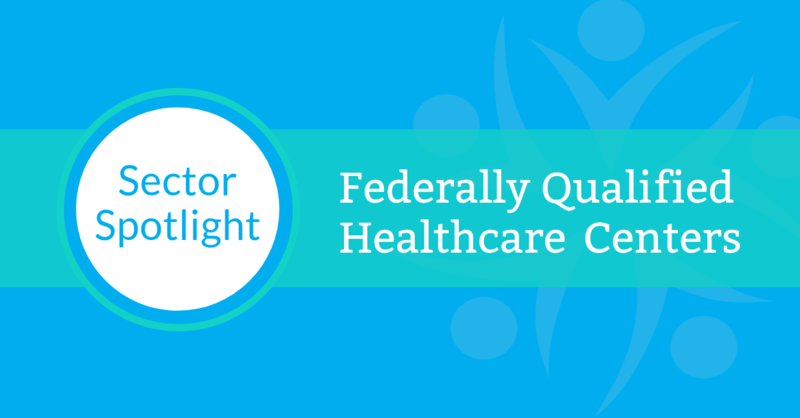 Formed by the Economic Opportunity Act of 1964, FQHCs provide primary care services to underserved populations, based on their ability to pay. Just over 50 years later, 1,400 FQHCs now operate more than 11,000 sites around the U.S. In 2017, more than 27 million people in the U.S. relied on these centers, including one in nine children, one in three people living in poverty and one in five people living in rural communities. The number of those patients suffering from mental illness is on the rise – anxiety levels have risen sharply in American adults over the past year, and rates of youth depression are also increasing steadily. As the need goes up, access is going down for many FQHCs. More than 1.7 million youth did not receive treatment for major depressive episodes in 2018, and demand for psychiatrists will more than twice outweigh the supply by 2025. As a result, finding a qualified provider can be a major challenge: For example, Detroit-based Advantage Health Centers searched for an in-person psychiatrist for six months before turning to telepsychiatry. In addition, FQHCs often don’t have the patient volume or resources to hire a full-time psychiatrist. With many FQHCs operating multiple sites, working on site could also mean the clinician spends half of their day driving to and from appointments at the health center’s various locations. How can telepsychiatry help FQHCs serve patients more effectively? For FQHCs who find recruiting high-quality clinicians challenging and – at times – an unsuccessful process, telepsychiatry offers enhanced possibilities to connect with a clinician beyond geographical constraints. With location no longer a factor, each health center can seek out telepsychiatrists experienced in treating its community’s unique issues. Having a virtual mental health program also makes treatment more convenient for patients, who can meet with their telepsychiatrist at their primary care provider’s office, rather than making a separate trip, which may be costly and time consuming. In rural areas where the nearest mental health professional may be 50 miles away, the convenience of telepsychiatry could be the difference between receiving treatment and not. Implementing telepsychiatry also allows FQHCs to deliver the integrated care they are required to provide, and that their vulnerable populations need. A successful telepsychiatry program creates a collaborative relationship between the provider and the on-site staff, who work as a team to discuss patient history, changes in patient conditions, and care approaches that treat the whole person. This integrated approach to care is possible in part because telepsychiatry brings greater operating efficiencies to FQHCs. It allows the center to build a program around patient volume, starting with just a few hours of service a week if needed, instead of hiring a full-time clinician. Telepsychiatry also eliminates the need to travel between multiple locations, allowing the clinician to focus their time on patient care. What are the best practices for FQHCs when implementing telepsychiatry? Find a clinician who fits. Any telepsychiatrist is not necessarily better than no telepsychiatrist. FQHCs should seek out a clinician who has the right skills, experience and understanding of the center’s unique population. A clinician familiar with those factors can create rapport with the on-site staff and the patients quickly and begin providing effective treatment sooner. For many patients, this could be the first time they’re meeting with a psychiatrist, and they may be unsure of what to expect. Providing the patient with the clinician’s bio and walking them through how a videoconferencing session works will do wonders. FQHCs should also take the time to educate on-site staff on the required tech and patient procedures for each session. Build the program for the center’s specific needs. One size does not fit all. Each FQHC serves patients with unique demographics and mental health needs. A telepsychiatry partner should have the flexibility to create a program that fits your needs and to make adjustments as those needs change so that effective care continues uninterrupted. Learn how Advantage Health Centers, a Detroit-based FQHC, is using telepsychiatry to improve mental health care access for patients across its five locations.